Are you putting a lot of time and effort into your salon marketing but your appointment book still has lots of blank spaces every day? 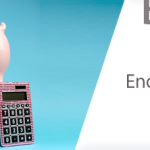 You probably are on the right track but missing one very important thing: online bookings. Did you know that most of people book their hair and beauty appointments outside working hours?. In fact, a study shows that 48% of online bookings are made between 5PM and 5AM. And that is when your salon is closed. If you aren’t offering your customers the option of booking online, you are missing out. You could be loosing all those potential bookings without knowing. Think about this: when customers start thinking about getting their hair done, where do they look for inspiration? Online. Pinterest, Instagram, you name it. We have all being scrolling down social media and seen that chick with “icy blonde” perfect locks. And thought to ourselves: “yeah, I need a change!”. And book an appointment online straight away, caught in the moment. Setting up your online booking system couldn’t be easier. Talk to us to get you started, and then link to your customised booking page directly from your Website, Facebook or App. 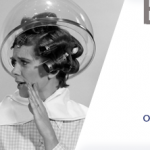 Don’t worry about double bookings, Hairware Beautyware will only show available appointments. This way clients will book when enough time is available for that specific treatment or service. Users validate their appointment by a username and password. Your customers will then receive an automatic confirmation via SMS or email. All setup once from your salon software! 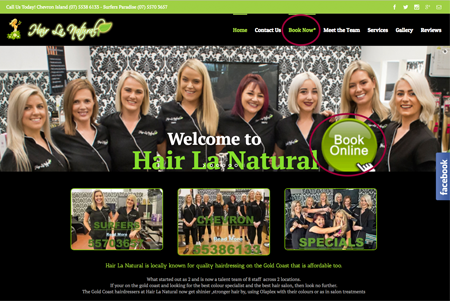 When you check your appointment book next morning, you will see the online bookings displaying an online logo to differentiate them from normal bookings. Link to your online booking page from your website. 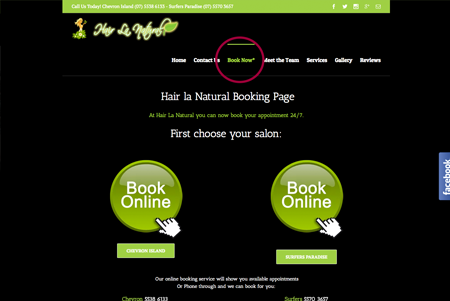 If you have different salon locations, you can make an extra page on your site to point users in the right way. 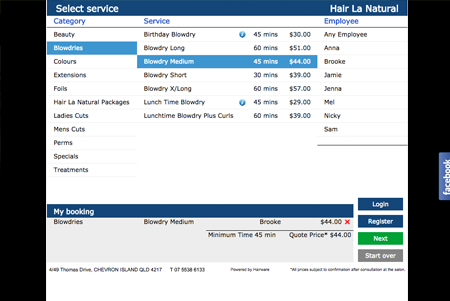 Allow your clients to book their service and choose their preferred stylist. 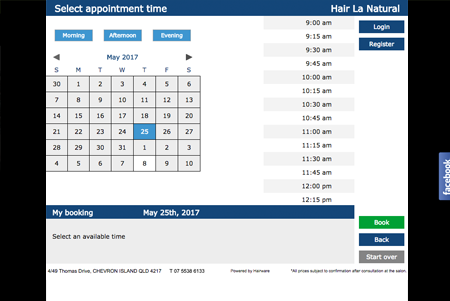 Your online booking system will show the available dates and times for your client’s appointment.